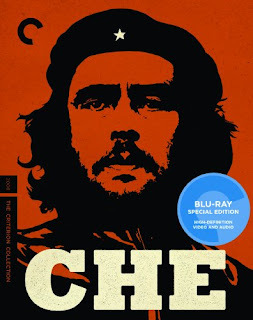 Che (Criterion Collection): Steven Soderbergh's epic yet personal, experimental and potentially alienating biopic is a bit of an undertaking, but there are some amazing things happening in it (particularly on second viewing). Magnolia (Blu-ray): One of the great movies of the 90s, rich and textured and emotional and heartbreaking. And it looks great on Blu, too. The Invention of Lying: Ricky Gervais' satire has a killer cast and some incredible moments, though it is undone a bit by its own too-high ambitions. No Impact Man: It sounds absolutely insufferable, but this free-wheeling documentary portrait of a family that attempts to put their environmentalism where they mouth is benefits from its charming subjects and light touch. Aziz Ansari- Intimate Moments for a Sensual Evening: Aziz is a funny dude. That is all. Streamers: It's not one of Altman's best, but it shows the master filmmaker at an interesting crossroads, trying to find a way to meld his experimental and improvisational tendencies with a tight stage script.